If you or a loved one has been injured in a car accident involving an aggressive driver, we recommend you call an East Lansing attorney as soon as possible. They will be able to help you build a case so you can get the compensation you deserve for medical bills, lost wages, and other injury-related expenses. In this blog post, you will learn all about what causes people to drive aggressively and how you can keep yourself safe on the road. What’s the difference between aggressive driving and road rage? The intent of the driver determines the difference between aggressive driving and road rage. A person who commits road rage intentionally sets out to hurt or even kill another driver, passenger or pedestrian. An aggressive driver, on the other hand, does not set out to hurt anyone. However, an aggressive driver may very well cause an auto accident by losing their temper and driving recklessly. How do I stay safe around aggressive drivers? Get as much distance as possible between you and the aggressive driver. If they are tailgating you, slow down and allow them to go around you. Never make eye contact or try to otherwise engage with an aggressive driver. You never know who’s behind the other wheel and whether they’re capable of escalating to road rage. If you’re afraid the other driver will cause auto accident injuries to you or another driver, call 911. Why do people drive aggressively? People drive aggressively for a number of reasons, though none of them justify putting other drivers at risk. Aggressive drivers usually have a temperament that makes them more likely to lose their temper. When you combine that with environmental factors, such as 5 o’clock traffic jams or alcohol, they are more likely to drive aggressively. What can I do to remain calm while driving? If another driver cuts you off or switches lanes without their turn signal, it’s not worth getting angry. Remember that it’s more important to get home safely to your family than it is to retaliate for another driver’s error. Also, keep in mind that other drivers may not be familiar with the area, which can cause them to make more mistakes. If another driver loses their temper at you, remain calm. For some drivers, it doesn’t matter whether something was your fault; they’re just looking for someone to direct their rage. Don’t be that target. Continue to drive safely and ignore any yelling or obscene hand gestures. If they don’t let up and you feel physically threatened by their behavior, call 911. It can be difficult seeking compensation for auto accidents when there’s an aggressive driver involved. The other party may not be willing to cooperate unless you get lawyers involved. The other driver’s insurance company may also not want to pay compensation for car accident injuries that are difficult to prove, such as whiplash. A personal injury attorney will have the proper experience in using medical documents to prove the extent of your injuries. They will also gather evidence to prove the other driver was at fault. 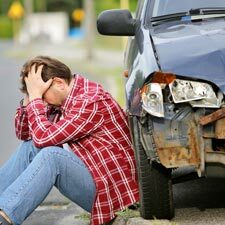 Filing a car accident insurance claim is easier when you hire a reputable auto accident lawyer. The East Lansing auto accident attorneys at Foster & Harmon, P.C. 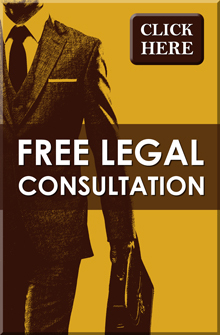 are dedicated to helping clients receive the compensation they deserve. If you or a loved one has been injured in an auto accident involving an aggressive driver, call our attorneys for your free legal consultation at (517) 337-4600.